We have decided to publish our policy, to help patients decide on the most appropriate pathway. Please see the link below to access our latest emergency treatment policy. The midwives are now requesting that patients complete a Patient Information Form prior to booking appointments. Once this form has been completed and returned to the midwife, they will contact you directly to arrange your first appointment. The surgery runs nurse-led annual monitoring clinics designed for patients who suffer from a wide range of chronic diseases such as asthma, diabetes, heart disease, etc. Patients who will benefit from these clinics will be sent letter invites automatically. Once every year the surgery hosts the Diabetic Eye Screening Clinics Service which is run by the Leicester Royal Infirmary. Appointments and invitations are controlled directly through the LRI Screening Service who can be contacted by calling 0116 258 3150. Please see the self referral tab. Contraceptive services and advice are available from all the doctors and nurses in normal surgery hours. We recommend that patients who are on the pill see the doctor/nurse every 6 months. Patients with an intrauterine device (coil) should see the nurse once a year for a check-up. Please call at reception to make an appointment. Cervical Cytology Screening (smear test) is carried out by the practice nurse at her daily clinic. All women under 50 are recommended to have a smear test carried out every 3 years unless they have had a hysterectomy or never been sexually active. Women who are aged 50–60 are recommended to have a smear test every 5 years and those over 60 require one normal smear. Frequency of testing does depend on individual patient history. When booking your smear test please specify that your appointment is for a smear test, as a longer consultation time will be allocated. If you think you are pregnant, please make an appointment with your doctor. Antenatal clinics are held in conjunction with our midwife, Sarah Cleobury on a Thursday morning. All six doctors are on the obstetrics list and hold clinics for antenatal care and postnatal examinations. Held on Monday afternoons 1:30pm to 3:00pm at the Castle Donington Children's Centre, Mount Pleasant, Castle Donington, DE74 2LN. These are staffed by the health visitor or nursery nurse. You are welcome to bring your child along just to be weighed or to seek help or advice with any problems. The health visitors, Pippa Hall and Helen Payne, can be contacted on 01332 853280 for advice on any problem. Tetanus & Polio – to maintain protection a booster is required every 10 years, with tetanus up to a maximum of five. Meningitis C - is available for children and young adults up to 25 years of age. Influenza vaccine – we offer free flu vaccinations to all of our patients over 65 years or at higher risk from the effects of flu i.e. those suffering from chronic heart disease, chronic respiratory disease, diabetes, chronic renal failure or immunosuppression due to disease or treatment. Vaccination will normally take place in October. Travel vaccinations – our practice nurses can give advice on travel vaccination requirements. Please note there are a few vaccinations which cannot be provided on the NHS and for which we must charge. Our nurses will advise you. See the Travel Information tab for further information. Some of our doctors are on the minor surgery list and carry out minor surgery which may save you having to attend hospital. Please discuss this with your doctor. Please call between 2pm and 4pm to enquire about your test results by calling 01332 856050 and selecting option 4. If you are travelling abroad on holiday or for work it is important to check whether you require or are advised to have certain immunisations or take anti-malaria medication. Your travel company may give you a general idea of the immunisations or malaria protection you require. If you require travel immunisations, please make a 20 minute appointment with the practice nurse as early as you possibly can, as appointments with the nurse are not always easily available. Anti-malaria medication, if required, will be discussed at the travel consultation. If there is less than 4 weeks before travel, you will need to attend a private travel clinic taking a printout from the surgery of your previous vaccinations. Please ask at reception for this. Please note that if you do not attend an arranged nurse appointment you may not be able to book another. If you require these you will have to go to a private clinic and pay for them. If you are unable to get to the surgery in time, most of the travel clinics will be able to provide immunisations normally available on the NHS for a fee. Some services allow patients to request an appointment themselves. This requires no input from the GP. Please find below a list of the current services that allow for self-referral. 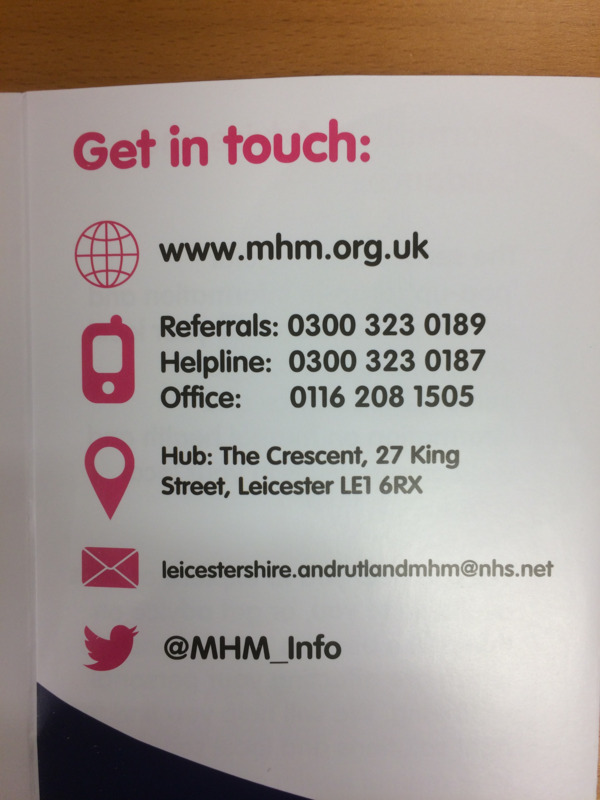 Supporting people in who live in Northwest Leicestershire, the Mental Health and Wellbeing Recovery service are available via self referral. Quit Ready Leicestershire offers free and confidential text, phone and web chat advice. For more details visit: www.quitready.co.uk or call 0345 646 66 66. Advisors from Quit Ready Leicestershire will be in touch via telephone, text message, web chat or email to offer support on a weekly basis during the 12-week programme to ensure people have the best possible chance of staying smoke-free. The service runs from Mondays to Fridays (9am to 7pm) and on Saturdays (10am-2pm). The new service also acknowledges the significant increase in the use of e-cigarettes,which the service doesn’t provide, but behavioural support is on offer to people who use e-cigarettes. 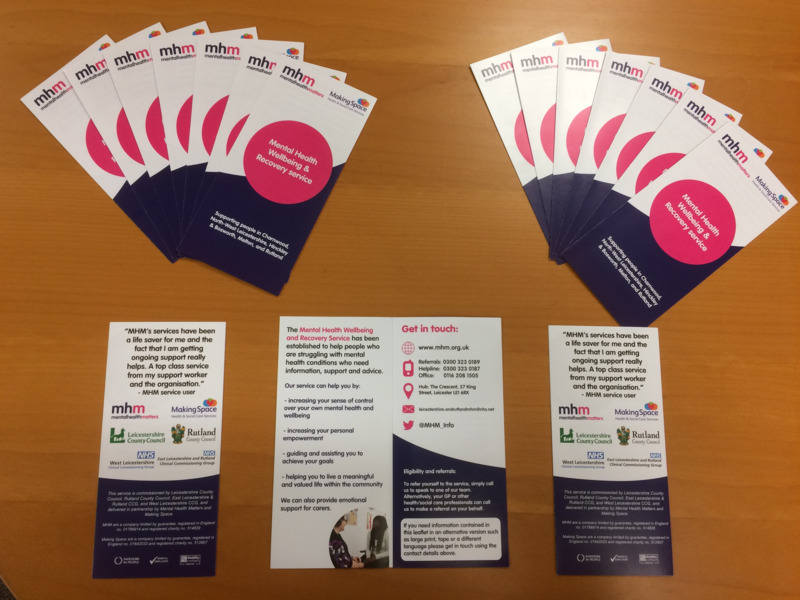 People can self-refer using the online contact form found on the website and the service is particularly keen to support women who are pregnant or people who have other health problems. Podiatry services aim to keep the population mobile, help users keep their independence and maintain their quality of life by providing an expert and complete range of foot and lower limb care, for those with a clinical, medical and/or physical need. This can range from routine corn, callous and nail care to the extremely specialised ‘high risk’ cases such as diabetic foot ulcer care, nail surgery, complex biomechanical assessment and treatment, through to provision of insoles and orthotics. You attend for your appointments or rearrange/cancel giving at least 24 hours notice. Failure to attend will result in your application being discharged and you having to re-apply. Whats happening in our community? We are launching some updates to our patient notice boards and website with a focus on the community. 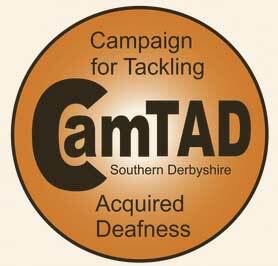 These will include updates to promote services to help improve health and general wellbeing. The Volunteer Centre is an invaluable resource for the village and surrounding community, providing information and signposting services on matters relating to housing, jobs, benefits, local opportunities and other services. These are all available at the Drop In Centre on Borough Street. However the Volunteer Centre offers a far wider range of services than this and their website proves to be an excellent guide to all they offer. Projects such as Grow Cook Share, transport for medical appointments and organised lunch clubs. • Social Café so people can sit and talk to each other, share experiences. This project has been a joint venture, supported by the CCG and will be delivered by NWL District Council Staying Healthy Partnership based at Hood Park Leisure Centre, Ashby-de-la-Zouch. 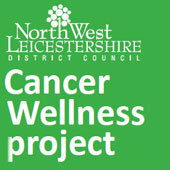 A copy of the Locality Meeting presentation Cancer Wellness NWL update has been attached for reference with background on this project and a flow chart of the programme. NWL District Council have provided posters and leaflets where copies are available as links below. Age UK LeicesterShire & Rutland is offering free home energy checks to older people who are finding it difficult to keep their homes warm in winter. One of our experienced handymen can visit you to check the temperature in your home and whether there are draughts. They’ll inspect your heating system and any insulation measures you have. If our handyman’s assessment suggests that you could benefit from energy saving equipment – such as energy saving light bulbs or reflective panels behind radiators – these will be fitted. He’ll also give you practical tips on saving energy and keeping your fuel bills down. All our handymen are DBS (was CRB) checked. To arrange a FREE Home Energy Check for yourself or for an older person you think might benefit, please contact Amy Welch on 0116 299 2254. 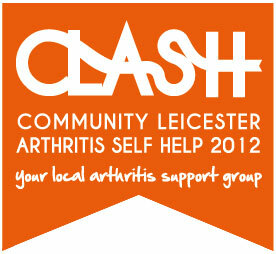 CLASH 2012 has recently received a £2,000 Community Development & Engagement Grant through their Staying Healthy Grant Scheme and will now be running run some activities in Loughborough. The aim is to provide activities for adults and children with arthritis of all abilities, to have fun and make friends. If any patients would like to join any of the activities then all they need to do is contact CLASH and become a member of CLASH 2012. For further information, they can call 0333 3444 611. The Health for Teens website, created by LPT, has been shortlisted for a national healthcare communications and marketing award. The website includes a lively, accessible short film for young people about mental health resilience. There are also opportunities for users to access quality information and materials about mental health problems that affect children and young people. Free advice for anyone with hearing loss. The helpline number is: 0800 4 70 80 90. 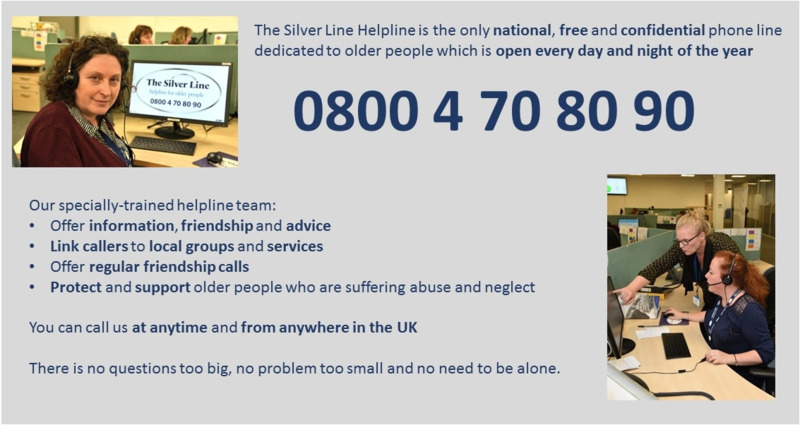 They also offer telephone and letter friendship schemes where they match volunteers with older people based on their interests; facilitated group calls; and help to connect people with local services in their area. This leaflet is to explain the practice’s policy for provision of referral to private providers outside the NHS. Most private medical insurers will require a referral from a GP to facilitate a private consultation, it is also good practice if you are self-funding to provide a referral to outline the problem and any tests performed so far. Unfortunately the administration time of these referrals can sometimes be varied depending on workload commitments. This has led the practice to develop a policy of administering referrals according to clinical priority rather than the provider used. This means that if there is a large number of NHS referrals to process urgently (such as cancer referrals) these must be processed before any routine private referrals. We therefore ask you when you request a private referral not to book any appointments for routine matters for less than a week from agreeing referral with the GP and preferably wait until you have the referral letter before booking the appointment. Your referral will be available to take to the appointment from reception. Not all services at the practice are available under the NHS. GPs do not have to carry out non-NHS work on behalf of their patients. Time spent completing non-NHS services such as insurance forms, preparing reports and writing letters takes the GP away from the medical care of his/her patients. Most GPs already have a very heavy NHS workload and paperwork takes up an increasing amount of their time. When a GP signs a certificate or completes a report, it is a condition of remaining on the medical register that they only sign what they know to be true. The GP may have to check a patient’s entire medical record even if it is just a signature that is required. Please therefore be aware that non-NHS services can take up to 14 working days for the GP to complete and in some cases longer. NB Lasting Power of Attorney documents: The GP may or may not be able to complete these. Please be prepared to leave the documentation with the surgery for the GP to review, with the possibility that it could be returned having not been completed. Please contact the practice for further information regarding fees and charges.